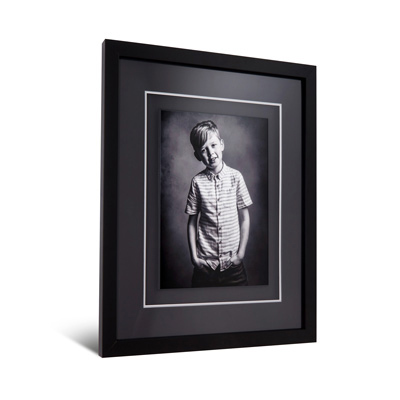 Photographic print mounted onto raised bevelled MDF block, anti scratch print seal applied and framed in a deep set moulding. The Trinity Solo Frame received a very warm welcome at this year’s trade shows. The print is mounted onto a bevelled MDF block and dropped into a deep set frame creating a floating appearance amongst a multi layered product. If you require different under mount card to that offered, please specify your preferred colour in the notes when ordering.